Heather Robinson is an associate in Herrick's Litigation Department. She concentrates her practice on securities and general commercial litigation. She practices in the state and federal courts, as well as before regulatory agencies, and is admitted to practice in both New Jersey and Pennsylvania. Heather also has experience with consumer class actions, products liability, insurance litigations, and complex commercial matters. On the securities side, Heather was recently involved in the representation of a broker-dealer in a complex employment arbitration brought by six former employees seeking over $10 Million in collective damages. This FINRA arbitration proceeded for 60 sessions, including 32 hearing days, and resulted in a virtually complete defense verdict for the broker-dealer, including for attorneys' fees. The award was recently confirmed in its entirety by the Southern District of New York. Representation of a German investment firm with respect to its investment portfolio of U.S. life insurance policies. Heather has authored and co-presented multiple continuing legal education courses on social media and its ever-evolving landscape. 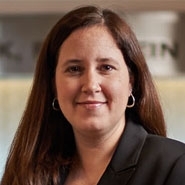 She also has extensive experience with e-discovery and has been involved with complex, cross-border collection and production of discovery in complex commercial matters. Heather is a member of the firm's Electronic Discovery Committee. Heather received her B.A. and M.A.T. from Cornell University, and her J.D. and M.B.E. from the University of Pennsylvania where she was a member of the Journal of Labor and Employment Law. Prior to joining Herrick, Heather was an associate in the New Jersey office of Dechert, LLP. Heather also interned for the Honorable William G. Bassler, U.S. District Court Judge, District of New Jersey.